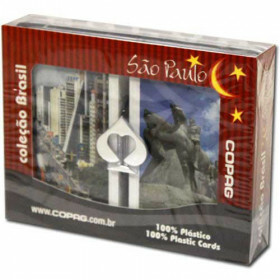 This set of Gold Line COPAG plastic play cards features the sophisticated Iluminura design. 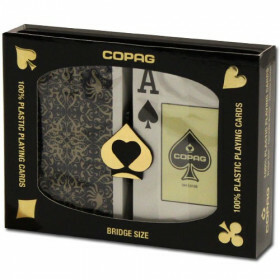 The set comes with two decks of cards (Black/Tan) and are bridge size (2.25" x 3.5") with a Jumbo Index (larger numbers). 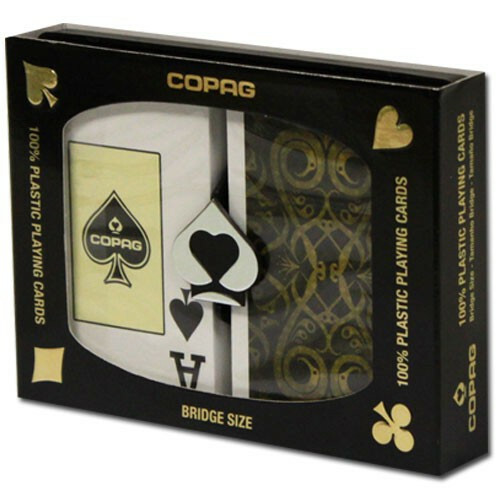 Stop playing cards with those average decks you buy at the department store and step up to high quality plastic playing cards from COPAG. 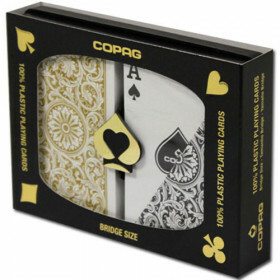 These Iluminura model cards come from COPAG's Gold Line of playing cards and feature sophisticated styling in a high quality set of plastic playing cards. 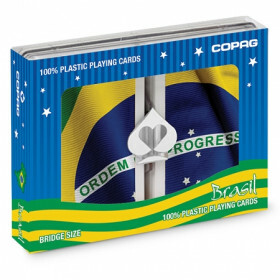 Tired of the same old Red/Blue sets everyone else has? 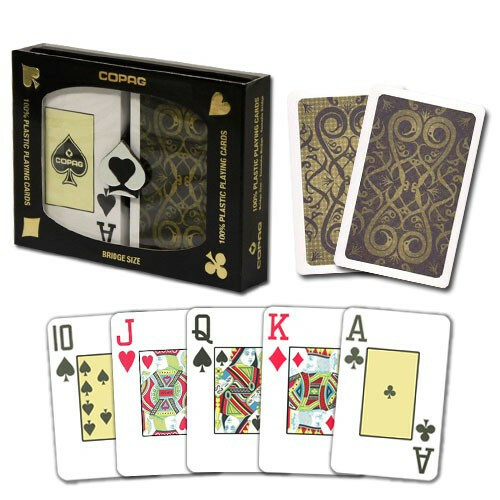 Get yourself a unique set of playing cards today! 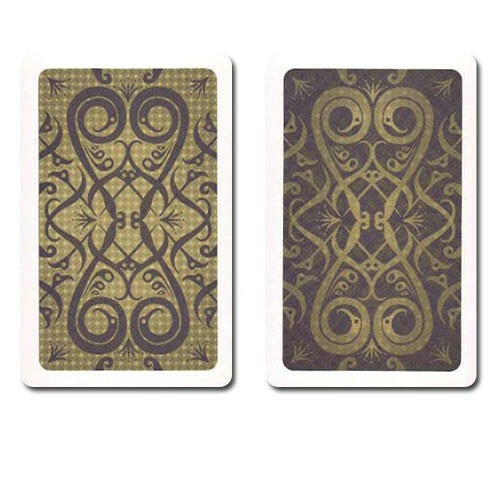 If you play cards often, or even if you just play occasionally, you know that playing cards wear out over time. 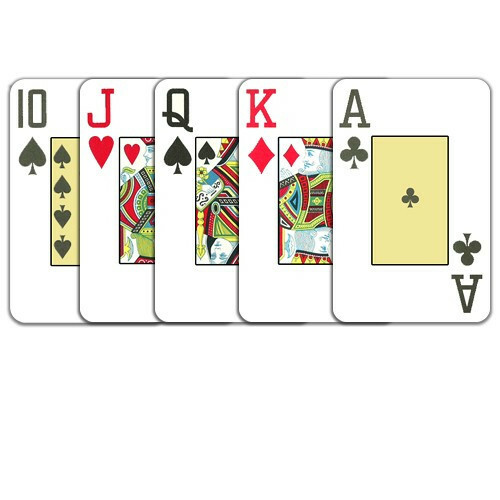 Whether from tears, scratches, marks or stains, you need to replace your cards often to keep them in top shape. 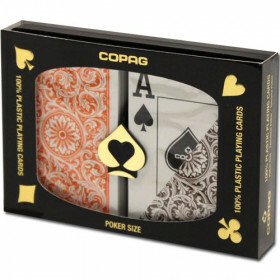 COPAG plastic playing cards will last up to 50 times longer than standard playing cards and won't tear, scratch, or crinkle easily. Plus, they're washable! Just wipe them off with a little cold water and they are as good as new. Just try that with your dimestore decks!